10 things you might not know about SONIC THE HEDGEHOG | Warped Factor - Words in the Key of Geek. Geek Dave runs through the Green Hill Zone to bring you 10 things you might not know about Sonic The Hedgehog. ...It's kind of apt if you think about it. For many years Sega and Nintendo were console rivals, with new Sonic and Mario titles competing with each other. 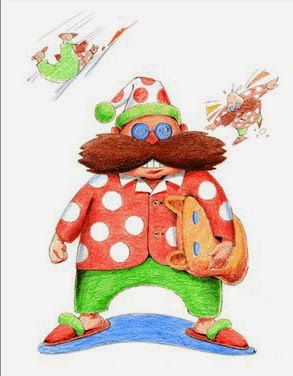 The original Dr. Robotnik/Eggman was designed to compete with (and he does look similar to) Mario, and so it can almost be said that Sonic has actually been battling 'Mario' in his own games since he first appeared in 1991. ...Feel used his/her ears to pick things up and throw them. 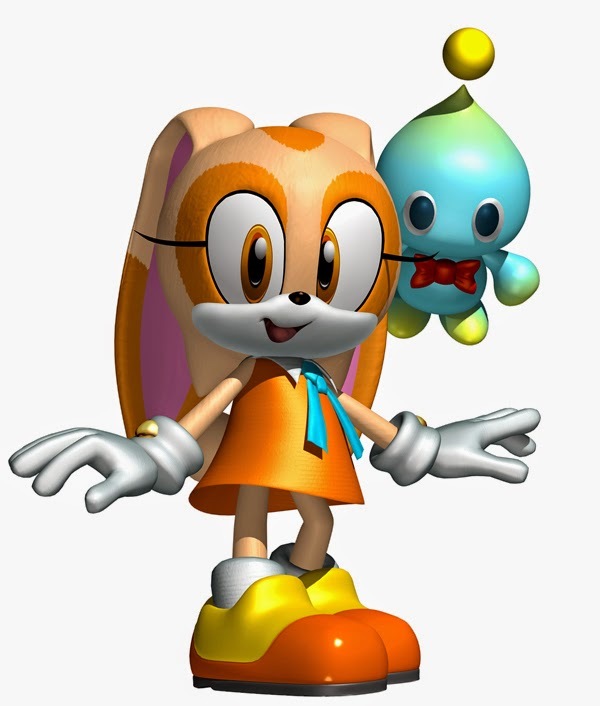 Again, not wanting to throw the concept away completely the coding design became the blueprint for Ristar, another SEGA game released in 1995, and the idea of a rabbit which used its ears for special abilities would later be revisited in the Cream the Rabbit, who used her ears to fly. 3. When SEGA decided upon a hedgehog as its mascot, AM8 set to work on the game. 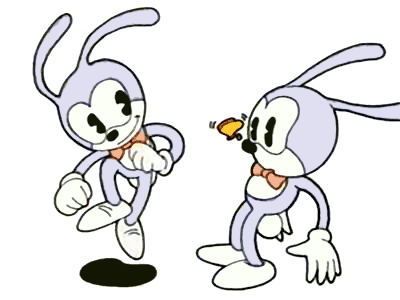 Originally the character was referred to as Mr. Needlemouse, and the game's development went under the title Project Needlemouse (a code reused for the development of Sonic 4). But the 15-member AM8 team didn't like the name and so during development changed it to Sonic, and re-branded their studios to Sonic Team. 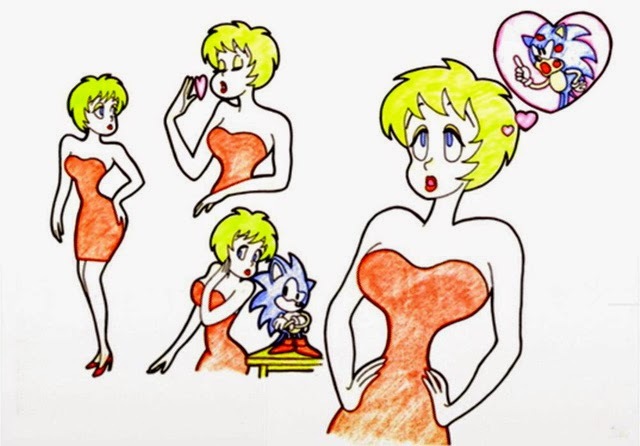 ...A hot blonde girl in a red dress who dates a hedgehog? Yeah, even SEGA thought that was inappropriate for younger gamers, so they nixed the idea completely. 5. As was common with many video games of the time, elements were borrowed from other titles. 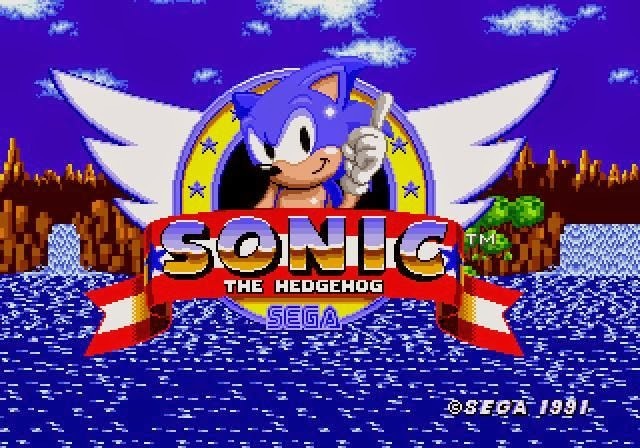 You may be surprised to learn that Sonic's iconic skidding noise was actually first used in Outrun! 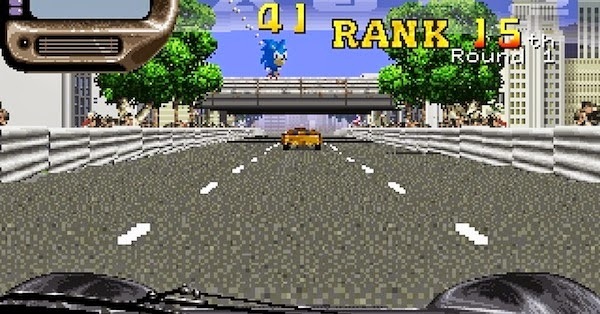 ...yep, the hedgehog can be seen as a novelty air-freshener hanging from the rear-view mirror in the arcade game Rad Mobile, released April 26th 1991. ...Go on, listen to it again. 3, maybe 4 seconds long. Would you believe that took up one eighth of the whole available space on the cartridge, which was actually more than some whole levels! 8. Back at the top of the page I referred to Eggman as Dr. Robotnik. 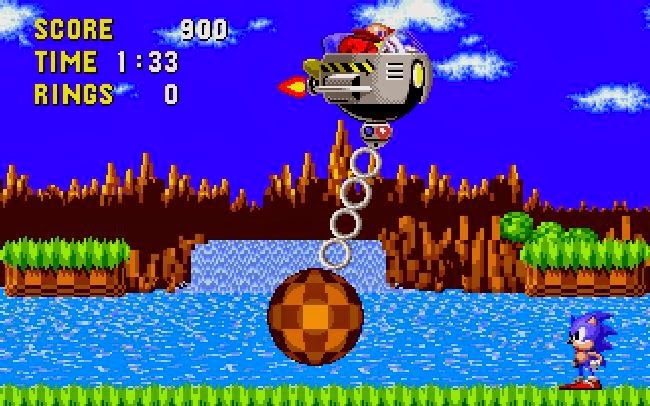 That was the name he went by in the European and North American releases but in the Japanese release he was given the name Eggman, as he was always intended to be called. Some years later during Sonic Adventure, there is a scene where Sonic calls Dr. Robotnik “Eggman” to make fun of him. This was incorporated because SEGA wanted to ret-con their initial decision and have him known as Eggman the world over. ...mind you, Hedgehogs also don't run on two legs, so...! 10. 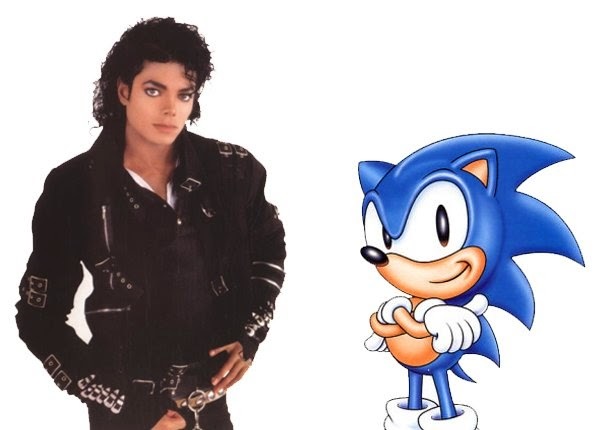 Michael Jackson was originally hired by SEGA to write the in-game music for Sonic The Hedgehog III - no, really. Really, really! He did it too. But just prior to the games release the controversies about his personal life hit the press and SEGA decided to remove all his music from the game.